We Are Pleased to Offer This Lovely BMW 116i 2.0 Sport 3 Door Presented in Metallic Silver With Contrasting Black Leather Interior and Supported With a Strong Service History and 2 Keys. This is a Lovely Low Mileage Example With a Good Specification. The Condition is Lovely, Both Inside and Out and the Car Drives Very Nicely Indeed. 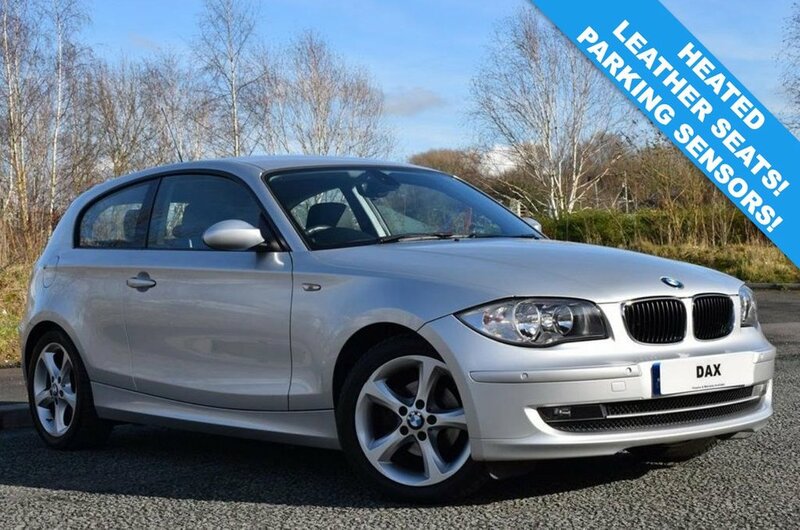 A Fresh Service Is Supplied On Order Alongside 12 Months MOT and 12 Months Nationwide Warranty Offering Complete Peace Of Mind in This Superb 3 Door 1 Series. BIG SPECIFICATION INCLUDES: LEATHER SEATS, HEATED SEATS, ELECTRIC FOLDING MIRRORS, AUX, FRONT PARKING SENSORS, REAR PARKING SENSORS, AIR CONDITIONING, AUTO LIGHTS, AUTO WIPERS, STOP START, RADIO CD, 6 SPEED MANUAL GEARBOX, 17 INCH ALLOY WHEELS AND MORE!